I received this oversize piece of mail art from Lynne Gurnee this past Monday. 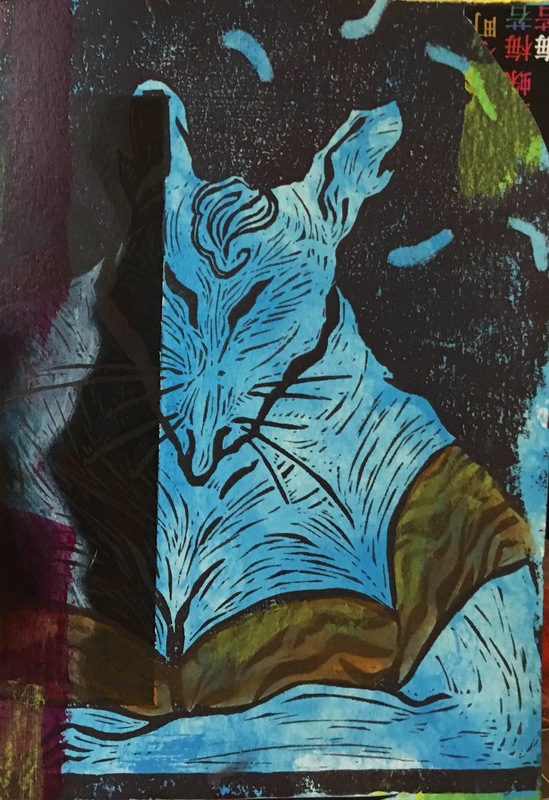 The artwork is from an original linocut piece called “She Was a Big Rat.” Lynne has sent me several great pieces this year. Lots of artists make mail art from their scraps and bit of things that didn’t quite work out as planned. I’m not sure that’s what happened here, but it’s often what I do.